This week, I had the opportunity to give $4000 to families in need. 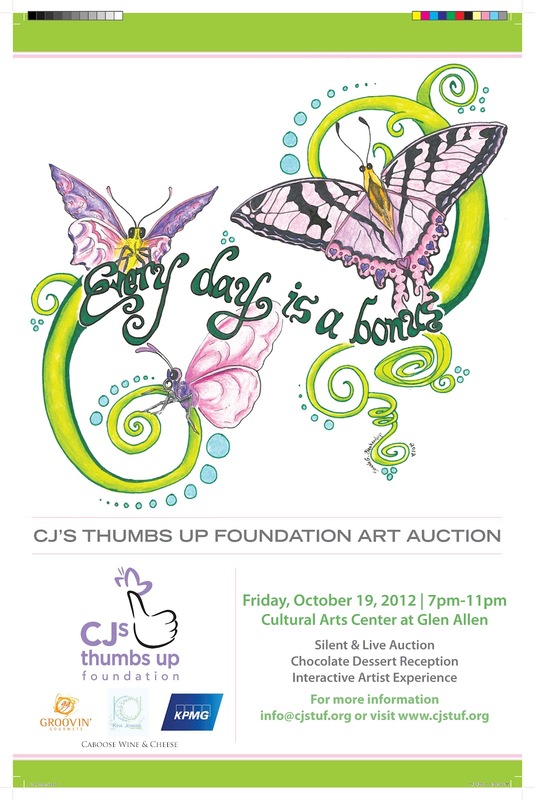 Thanks to the incredible generosity of our donors and supporters, CJ's Thumbs Up Foundation has had a wonderful year. At the December board meeting, our Board of Directors voted to award all eight families on the waiting list with Financial Assistance Grants. This means that, to date, CJSTUF has provided over 100 families with financial assistance, either through grants or emergency aid since its founding in January 2010. These families face incredible challenges. One child has a breathing tube and g-tube (feeding tube) and relies on round-the-clock care by her family and nursing support. 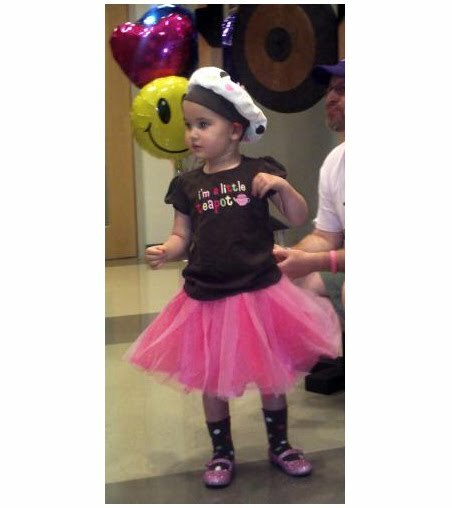 One girl is less than two years old and is facing multiple open-heart surgeries. 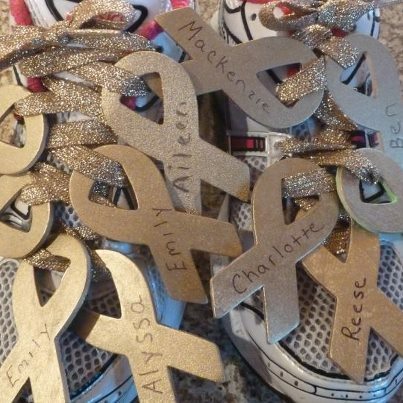 Half of the recipients are battling cancer, facing multiple hospitalizations with intensive medications and therapies. While $500 will not solve any family's financial woes, that amount of money can make such a substantial difference. These grants are providing assistance to pay utility bills and rent. One grant will help a family place a deposit on a new apartment. They have been living with other family members for over a year. These grants also help provide assurance to our families: they are not alone. The community cares about their needs. We are here to help. On a selfish note, these grants give me a way to pay it forward. We keep Charlotte's spirit alive through the work of the foundation. Every time I write a check to these families and address their envelopes, I think of my own inspirational butterfly. Thank you for helping to make all of this possible. Roger will be wrapping gifts at the Chesterfield Towne Center Barnes & Noble from 10am-2pm today! There are other dates as well and some need a volunteer or two. You can go to the website and sign up if you'd like to help out. Today is also "Cyber-Monday" so please surf the web on over to HandmadeHomies4CJ which is our Business Of The Month for November. If you are planning travel in the next year and can wait to book until February, the BOTM will be right up your alley. 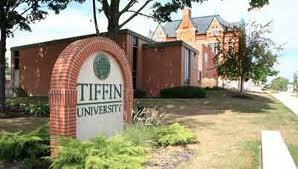 Rachel and Roger will be travelling to Tiffin, Ohio this weekend for a multi-pronged event at Tiffin University. Roger will be guest-performing at the annual "Christmas At The Ritz" concert on Saturday, Dec 1 and MIGHT be doing a vocal improv clinic for the students. Rachel will be doing a book signing at the TU Bookstore as well. The concert is a fundraiser and CJSTUF will be one of the beneficiaries. Besides Black Friday and Cyber-Monday, another new trend is "Give Back Tuesday" where people are encouraged to donate to the charity of their choice. Here's the DONATE button. Why wait 'til Tuesday? It never really ends. We think about our beautiful baby girl every day; several times a day. Sometimes it's pretty much constant. Take Wednesday, October 31 for example. Throughout the day, as many of our friends and family were posting photos of their kids' costumes and discussing preparations for the evening's festivities, we were constantly reminded of the four Halloweens we were fortunate enough to spend with Charlotte. 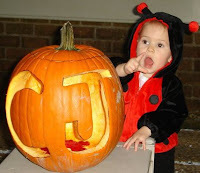 One of our strongest memories is of Charlotte's second Halloween when she dressed as a ladybug and was quite possibly the cutest thing that EVER walked this Earth! We took her to Randolph-Macon College to trick or treat in the dorms and it was so amazing to watch her figure out that when she knocked on doors and babbled something, the smitten students would give her stuff. It was the first time I felt that parental melancholy that comes with knowing she'll never be this small again. This year, we set up our traditional table out by the street and had a great time handing out goodies and seeing all the kids and great costumes; all the while thinking of our little peanut. Or take Tuesday, November 6. Election Day. This was always a BIG day for us. Both of Rachel and I were determined to teach Charlotte about the democratic process and to encourage her to develop her own voice on whatever issues she would face as she grew into an adult. We always brought her with us when we voted, even in the local elections. I would schedule my day around when I would be able to take Charlotte to the polling place and often she would "vote" twice in a day. She filled our thoughts as we participated in the 2012 election. And now we head into the Holiday Season and a new round of memories are poised to take over, keeping the mourning front and center. And yet, it's a little different now. There are more of those good moments. Like last Thursday at the Lunch Bunch which CJSTUF facilitates at Children's Hospital of Richmond at VCU in conjunction with Connor's Heroes Foundation. The food was catered by Christopher's Runaway Gormay (SO yummy!) and we served 71 people a good, moderately healthy meal when they might have had to visit the vending machines or resort to paying for fast food downstairs. We know from experience that is something families should NOT have to deal with while facing a child's health crisis. We also meet new friends every time we serve meals which lets them know about resources and provides us more reason to continue to expand the program. Then there was November 10. I ran the American Family Fitness Half-Marathon (part of the Richmond Marathon) and Rachel did a book signing at an arts and craft show where she sold some books and connected with several supporters. Saturday morning, I almost decided not to do the half-marathon at all since I had popped something in my knee last Monday and it had been hurting all week. I wasn't sure if I could even finish the race. Then, of course, when I thought of Charlotte and what all the other families have endured, I put my whining away and suited up. Good thing I did because it was probably the most fulfilling race I've ever run! I got a lot of extra motivation right at the start line when I saw a man wearing a t-shirt that read, "13.1 Is Still Easier Than Chemo." Amen, dude. Throughout the event, my mind was full of thoughts of Charlotte and so many others whose paths we've crossed. I thought of Abbie Waters as I passed her old school, I thought of CJ's Godparents as I passed their house, I thought of the Klauers, the Goodmans, the Hubbels...lots of others. I met a woman within the the first two miles from Newport News who was running her first half and only the third time, "in front of people." I fell in with a small group of people at around the halfway point, many of whom just happened to have leg and knee issues. There was a lot of self deprecating humor being passed around but we all finished! And all along the way, were the occasional shout-outs to CJ's Daddy (on my bib) or Team CJ (on the shirt) or people who recognized me and shouted encouragement. I can't tell you how much that helps! I finished (the main goal!) in about 2 hours and 40 minutes, the knee held out, and crossing the finish line, I let out a "WHOOP" like I never have before. It was a great moment. Then I caught up to Kristin Mudd and her funky shoes! It was her first half EVER! Kudos to her. And CJSTUF continues to grow. Thanks very much to Rachel's very capable Executive Directorship, our wonderful board, and support from the Network, we are having a tremendous year of fundraising and providing resources to our families. 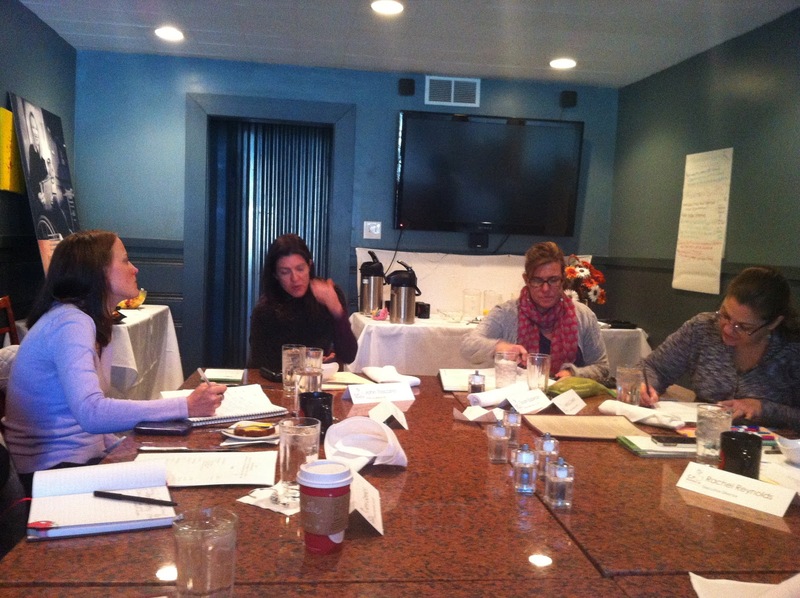 We just had a very productive Strategic Planning Session and we have homework to do, after which, we will be ready to take a step up to the next level of operation for 2013 and beyond. So the therapy continues and, quite possibly, it's working. Maybe. Just a little. Every Day Is A Bonus! That's one of our catch phrases. It evolved during Charlotte's treatment out of the realization that we may be spending our last days with her. It's our statement that no matter how inconvenient it may be to have to wait at the toll booth, or find that a piece of technology isn't working correctly, or to get mayo on your burger (when you expressly ordered one with NO MAYO! ), it's all pretty insignificant when compared to the fact that the time you have to spend with loved ones is finite and can end at any moment. Like anyone, we find ourselves losing sight of this, occasionally (not very often but it happens). We need reminders that Every Day Is A Bonus which is why we wear the bracelets, have photographs of Charlotte all over the place, and spend nearly every free moment we have working on/thinking about CJSTUF stuf. The Fall Art Auction is coming up tomorrow at the Cultural Arts Center in Glen Allen and we're all working feverishly to get everything in place. Besides the fact that it's a cool fundraiser, it's also one of those big reminders. 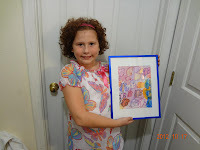 It's a reminder to us that what really matters isn't how much money we bring in but the fact that so many wonderfully talented artists have donated pieces for our event - everything from pieces of jewelry to a beautiful 4' X 5' painting from Pirate Alley Artist Bedonna Wakeman to a "commissioned" piece from one of our youngest contributors, Ani Checkosky. These artists remind us that Every Day Is A Bonus! There are also the volunteers who will be giving of their valuable time to make sure we have an event worth attending. This includes three live interactive artists who will actually be creating pieces during the event to be auctioned off at the end of the evening. There are also Brothers of Alpha Phi Omega from Randolph-Macon College, auctioneer Marlynn Turner, and of course, members of our amazing Board who will be helping to remind us. The generous sponsors and those who have donated in lieu of tickets because they are able to attend remind us. And the end result of it all, besides keeping US centered, is continued support of the families in the best way we can with the resources we have been allowed to gather from you. Now if we have a bit of fun while we gather those resources, can anyone blame us? Because, "Hey, if you can't boogie, then what's the use?" Tell those you love that you do. Let’s focus today’s post on the nuts and bolts of what’s going on with the Foundation RIGHT NOW. There’s only one way these things happen and that’s through your generosity. Roger and Rachel Reynolds, The Board ofDirectors, and all involved with CJ’s Thumbs Up Foundation would like to thank everyone who have helped make this year more successful that we could have possibly imagined. And it’s not over yet. Our most recent fundraisers, The Amazing Raise and the Groupon Grassroots Campaign, have raised over $4,000 ($2,300+ of that guaranteeing at least 7 Lunch Bunch meals which will feed no less than 420 people). The next thing is the Eagle Rare Award contest that continues into January. People can vote once every 24 hours. Now, the 500lb gorilla in the room is the Fall Art Auction on Friday, October 19 at the Cultural Art Center in Glen Allen. There will be a dessert bar including chocolate fountain (YUM! ), wine donated by The Caboose in Ashland, live and silent auctions with a variety of pieces ranging in value from $20 to $1,800, and (here’s the really cool part) three interactive artists who will be creating pieces during the evening. Those pieces will be auctioned off at the end of the evening. Tickets are $50 each and can be purchased here. The future holds the kind of promise that can only come from seeing the exit of a very dark tunnel after being trapped inside for an extremely long time. There will be wonderful Businesses Of The Month in November and December. Please standby for details. And yet, there are still other plans that are too early in the works to mention here. For RIGHT NOW, please buy your tickets to the Fall Art Auction, vote for Rachel every 24 hours, and start getting your holiday shopping lists together to fill at our Nov. and Dec. Businesses Of The Month. Today's blog post was supposed to be about the last week of amazing fundraising successes, voting contests ending soon, buses parking on chests and all that but then I read this. I became aware of the Bartosz family, and Jack in particular, near the end of August. Actually I believe it was the day before Jack died (that happens more and more these days). Sarah's eulogy for her son is eloquent, touching, and inspired. I have written about Jack and our family for seven years on this site, recapping the highs and lows of this long and painful journey. 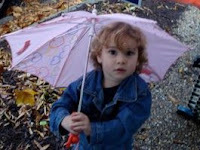 I had hoped to never, ever have to write a eulogy to my wonderful son; unfortunately, the time came and as hard as it was, it was something I needed to do. For those of you unable to join us for the celebration on Saturday evening, John and I both spoke about Jack. Though it was extraordinarily difficult, we had an extraordinary son who gave us the courage, strength, and love to accomplish the task. John's words were paired with clips from the wonderful videos and movies he has made of the kids throughout the years. I had the daunting task of putting into prose my love for my son and I share the result with all of you below. There are truly no words adequate enough, no adjectives extraordinary enough to describe my beautiful boy. I could write volumes about how he changed us and about the bright light that was and will always be Jack. What I am grateful for is that the bright light continues to shine in and on all of us, most especially glowing in the eyes and heart of our amazing Annie who shares Jack's light and will forever keep it glowing in her own good works and loving heart. A prouder mother there can never be. It has been said that it takes a village to raise a child. But as I look at all of you here today and think of the countless others who wish they could be here, I know that just one child can raise an entire village. A village of hope, a village of inspiration, a village of courage, strength, determination, and, most importantly, a village of love. Jack lived with a faith that anything and everything were possible. He lived to be ordinary under extraordinary circumstances. He longed to be “plain” – a term he started using when he was just a little boy of four in the first phases of treatment. To him, plain meant no IVs, tubes, wires, or other annoying medical devices and pieces of equipment. Jack longed to be a plain old average kid, but never complained when he went through phases of being anything but plain. But regardless of the state of Jack’s disease over the last seven years, plain and average are words no one has ever or will ever use to describe Jack – a boy with a big smile and an even bigger heart. Jack prided himself on being happy and he loved telling anyone and everyone that he was happy and that they should be happy too. A story was recently recounted to me that during one of the average morning carpool trips to school just this spring, there was an unusual silence among the four kids in the car until Jack piped up with one simple statement, “I’m happy.” No specific reason was given because Jack never needed any specifics to express his pure happiness for life, going to school, seeing his friends, feeling good, and the other average daily activities and outlooks most of us take for granted. For John, Annie and me, the most momentous example of Jack’s declaration of happiness came in January 2011 after a devastating scan trip to New York where we learned Jack’s cancer had again crept back unexpectedly and was again threatening his body and his life. The four of us arrived back in Wisconsin knowing that high-dose chemo would begin again, Jack would miss school, friends, birthday parties and activities, and our lives would be measured in trips to the hospital and nights of inpatient isolation. As we drove home from the airport, John, Annie and I were all silently crying, the tears flowing in steady streams. None of us could speak. Jack looked over at Annie sitting next to him in the back seat and said, “Annie, why are you crying?” as if perplexed by her behavior. John and I exchanged incredulous looks, wiped our eyes, and said OK . . . if this child who knows what he is facing can simply be happy in this moment and in this journey, then we need to be happy too. Jack told us what to do in the face of a crisis and told us how to live our lives not looking at what is going wrong, but looking at all that is going right. Now this isn’t to say that we haven’t shed oceans of tears since then, but what I can tell you is that we tried very hard from that day forward not to cry in front of Jack. We did our best to stay positive and be happy. And we have done our best to embrace Jack’s mantra of happiness every day, even in the days since his physical presence left our midst. Last Christmas with the entire Bartosz and Detling families gathered around our dining room table, we pulled out the conversation stones Jack and Annie had made for us the year before. After answering questions about our favorite foods, what type of super power we wish we had, and what person from history we would most like to meet, the final question was posed . . . “Describe your ideal day.” As we all thought of what would create the perfect day, answers of pampering at a spa, golf at Augusta National, shopping sprees, a tranquil beach were all offered up until the last person to answer was Jack. 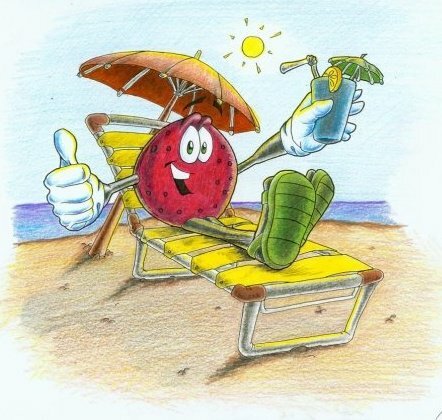 And his little voice simply said, “Any day I don’t have to go to the hospital can be the best day.” Scratch the spa, the golf, the shopping and the beach . . . Jack was right, any day and EVERY day can be the best days. But even in the hospital, Jack was out in the halls whenever possible looking to make new friends, join in a video game, organize Nerf gun or silly string battles, or invite his friends up to hang out, make a movie, or eat pizza. I watched Jack make friends with most EVERYONE in EVERY state and hospital we visited. Over the years he taught other kids how to swallow their pills, take their medications, get shots without crying, join in a Bingo game or group activity, and make the most of feeling good, even when stuck in a hospital. Every hospital staff person in every state knew to find Jack if there was a party that needed to get started. He created an Olympic mountain out of balloons and paper mache, led the Mardi Gras parade while wearing the chicken hat he fashioned out of a bucket, Styrofoam, orange paint and feathers, filmed videos and television interviews, gathered nurses and doctors to play games, laughed with the clowns, rode his scooter, made every craft project available, participated in cooking classes, pet therapy, drama club, yoga, dance therapy, tae kwon do, and EVERY OTHER ACTIVITY that came along . . . all while tethered to an IV pole and wearing his trademark grin. Jack squeezed more living into his 10 years, 10 months and 23 days than most people do in decades. He lived without hesitation or reservation. When asked on a school survey what his greatest fears were, Jack responded, “I don’t have any fears.” This was true in so many ways. Though he was cautious and safe, he threw himself at life and living with great abandon and without worry about looking foolish or too enthusiastic. Just last week while Annie and I were running errands, a song came on in the car and Annie sighed with smile. She told me that the song reminded her of Jack. She went on to tell me that on the ONE day Jack was at school this spring in between chemo and hospital trips to participate in roller skating in gym, he eagerly laced up his skates but had neither the stamina nor muscle tone to actively skate. But in true Jack fashion, he made the best of it and slowly inched his way to the middle of the gym floor. And when a song came on that he knew the lyrics to, he stopped in the middle of the gym floor, raised his arms, sang at the top of his lungs and danced . . . skates and all as the other kids kept skating in a circle around him. He wasn’t embarrassed, he wasn’t shy, he wasn’t intimidated or nervous, he was just plain happy and he wanted to share that happiness and enthusiasm with everyone. Jack was a believer – he believed in himself, he believed he would beat cancer and grow up to be a surgeon, he believed in the goodness of others, he believed in hope, he believed that laughter truly was the best medicine, and he believed whole-heartedly that all things were possible. The list could go on and on, but his pure, innocent, genuine belief changed those who loved him in so many ways. “People, you gotta believe” was a phrase he uttered more than once. Whether it was during the Packers Super Bowl appearance, watching the Polar Express and talking about Santa, learning about the next treatment or trial we were embarking on, or just waking up with the faith that today could be the best day ever, Jack believed and has made believers out of all of us. Going to school was something Jack adored always. He prided himself on being a good student and kept up with his studies regardless of being inpatient or in another state. I am quite certain that Jack taught his beloved teachers as much as they taught him. As a protective, worried mom, there are no words adequate to thank them for helping us to make sure he always felt included and valued. Though he maintained straight A’s, there is no quantitative way to measure the qualitative, heartfelt opportunities his teachers provided to him with their dedication, caring, commitment and love. I know a part of Jack’s heart will forever remain in the halls of Swallow School. In addition to being a good student, Jack also prided himself on being a good friend – new friend or best friend, celebrated athlete or trusted caregiver, young in age or young at heart, playground pal or hospital comrade, Jack embraced everyone in the most honest and genuine of ways. He didn’t care about what people were on the outside, he cared about who a person was on the inside. Jack gave of his love and friendship unconditionally and was happiest just being himself. And Jack, in turn, was blessed with the most wonderful friends who only saw him for the cheese-loving, laugh-making, orange-wearing, life-embracing boy that he was. With hair or without, in the hospital or at home, with IVs or without, none of that ever mattered because Jack’s true friends only saw him as their buddy with the big smile and the grand sense of humor. To Jack’s friends, from the bottom of my heart, I thank you. We all thank you for embracing him with your friendship, love, and kindness just as he embraced you with his. I hope that Jack’s bravery and joy in the face of insurmountable odds will empower you to keep your chin up, embrace life’s challenges, and keep a smile on your face. Always believe you will succeed. Keep focused on the ultimate goal you are trying to reach. Forever press on and fight the GOOD fight. Know that Jack is cheering for you and know that his grateful family is always cheering for you too. You all hold a special place in our hearts as I hope Jack will forever hold a special place in your heart. Feel his love and happiness today and always. I hope everyone here and everyone he touched will always feel Jack’s love and happiness. And I thoughtfully ask that you help us share Jack’s love with Tommy, the little brother Jack named and couldn’t wait to teach about all the important things in life, so that Tommy, too, can know what an amazing brother he has. During Jack’s last trip to Northern Wisconsin in July to stay at Gramma and PopPop’s, Jack was able to visit the local bait shop with a $25 gift certificate he won from a kids fishing contest the year before. Even with pain causing him to limp, he enthusiastically set out to load his tackle box with the coolest of bait. With a basket full of colorful new jigs and lures, Jack had money left to spend when he spotted a stuffed turtle. Jack was concerned that the stuffed animal would put him 25 cents over his limit and asked PopPop if that was OK. PopPop happily said he’d spot him the quarter but asked him if he really wanted to spend money on another stuffie. Jack quickly exclaimed, “Oh PopPop, this isn’t for me, it’s for Tommy. I’m going to sleep with the turtle and then Annie can sleep with the turtle and then we’ll give it Tommy so he can feel the love.” Needless to say, the turtle was purchased and awaits Tommy’s arrival and will remain a symbol of Jack’s love for all of us for the rest of our lives. And to Jack, our most thoughtful big brother, I believe with all my heart that Tommy will know, will feel, and will cherish your love. Just three days before he left us, Jack provided us with some of his final words of wisdom that will resonate in my head and my heart forever, “People know me for my happiness. I don’t want people to think of me for sadness.” You are right Jack, we will never think of you for sadness. The tears we cry today are tears of joy for the happiness that you shared, the love that you gave, and the belief that you inspired. We always maintained hope that Jack would survive, but we came to understand that the quality and meaning of human life are not measured in years – they are measured in moments. Moments of happiness in every day in the simplest of ways. Moments of honesty and words of wisdom: be happy, feel the love, and just believe. Thank you all for being a part of Jack’s great village. Your support of Jack and our family have encouraged us and saved us. Tomorrow, September 23, marks the day seven years ago that our lives changed forever when we heard the words, “Jack has cancer.” It has taken this great village to support Jack as well as John, Annie and I and our families through this darkness. For those of you who know my love of quotes, I leave you with this one. And though the author is unknown, I know the inspiration for such thoughtful words was someone like my Jack. When a star dies in the heavens, its light continues to shine for millions of years. I trust that Jack’s great light will shine on us all forever, bring us out of the darkness, give us many reasons to be happy, help us to feel the love, allow us to forever believe, and remind us that we must always back Jack. I love you, Jack. Now and forever." I dream of a time when no parent will need to be so inspired. and their Caringbridge site is http://www.caringbridge.org/visit/jackbartosz. 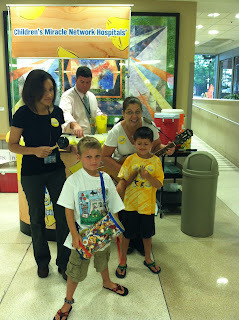 As Childhood Cancer Awareness Month continues, we are having another typical week in the life of CJSTUF.org! Lot's of stuff going on. 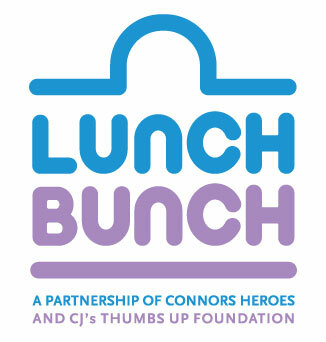 1) Groupon Grassroots: Recently, we were awarded a Groupon Grassroots Campaign during which $10 donations are taken to help fund one Lunch Bunch meal for the families being treated up on the 7th floor of Children's Hospital of Richmond (This is our meal program for which we have teamed up with Connor's Heroes Foundation). The campaign is live through Sept. 23rd and is taking $10 donations right now. The "tipping point" is $300. It's difficult to imagine that we wouldn't reach that amount but if somehow we don't, then the funds raised up to that point are not distributed and no one's credit card will be charged. If nothing else, we get exposure and experience. If the tipping point is reached, which it will, then the Lunch Bunch is guaranteed one more event. We hope we end up with several. 2) The Amazing Raise: This is an exciting, 36-hour fundraising event being hosted by The Community Foundation/GiveRichmond.org. It begins Wednesday, Sept. 19 at 6:00AM (we'll post the link as soon as we possibly can after it goes live at 6:00:01AM) and ends the next day at 6:00PM. There are MANY creative ways to win matching funds and CJSTUF will be aiming for three specifically. The first is the 50/50 Early Bird Match. The first 15 organizations (and there are dozens) that receive 50 unique donations of $50 will receive $2,500 matching grants from the Community Foundation (That's FIVE families helped). So please plan to wake up early and help us capitalize on this opportunity. The second is called "Midnight Madness." Simply put, the donation (of at least $25) that comes in closest to midnight on Wed night will receive an extra $1,000 (2 families). We will be having a wildly fun karaoke party at ComedySportz in Richmond starting at 10:00PM and when midnight approaches, we will countdown to zero and get everyone to push the "send" buttons as close to 12:00 as possible. YOU are invited. Come stay up late on a school night. You know you've always wanted to! There is a fourth area that we think we could win and that's the Long Distance Donor Award. The donation that comes in from the farthest point on the planet (determined by billing address of the card used) will earn the non-profit $1,000 (2 MORE families) The Network is pretty widespread and if the right people donate (all you in Europe, New Zealand, Australia, Japan, Malaysia, Africa, China, Korea, etc... know who you are! ), we could win that one as well. Last year was our first experience with the Amazing Raise and with very little effort, you helped us raise just over $1,000 (2 families). This year, if we win only one of the contests at which we're aiming, we'll more than double that. 3 and 4) Rachel still continues to hold her own in the two voting-based contests. The Eagle Rare Life contest has her at 4732 at this writing and we have no way of knowing how well she's doing in the Lady Godiva Program. Just keep voting every 24 hours and we'll let you know something when we do. 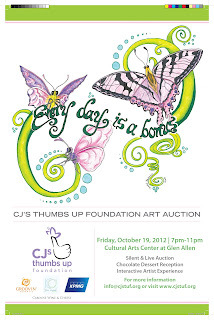 5) The "Every Day Is A Bonus" Fall Art Auction is coming up on Friday October 19th. We've already started receiving reservations and artist donations, some of which are pretty amazing. 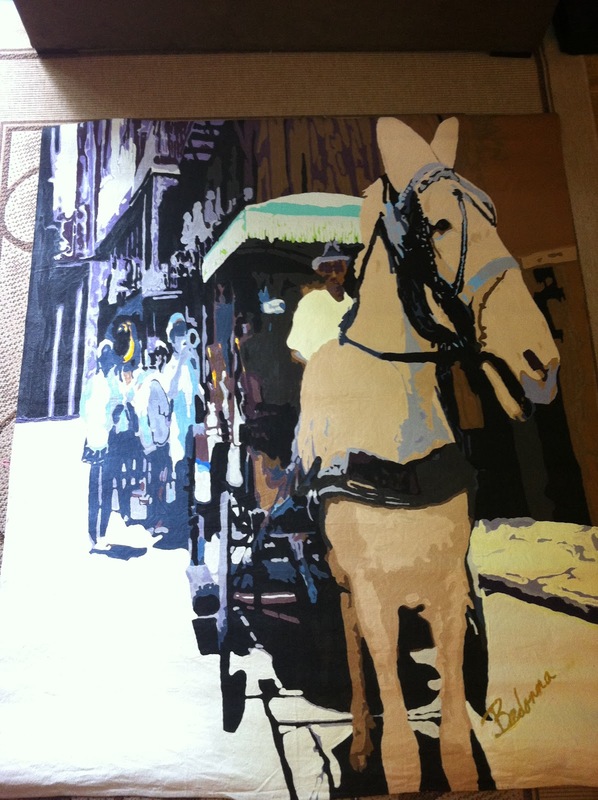 There will be live and silent auctions featuring paintings, photographs, children's art, stained glass art, arts services and an interactive experience where live artists will be creating pieces right there in front of everyone. And don't forget the chocolate dessert bar! If you'd like to reserve your place, click here. 6) Did we mention that Pepicelli's Pizza is the Business Of The Month for September? We won't have a BOTM for October due to the Art Auction. We'll let you know about Nov. and Dec. as we get closer. This post is long enough already! As you may have heard by now, Rachel has been named a candidate in two voting contests. Each one could help CJSTUF earn funds that we can use towards our mission. You don't have to register your email address or log in. Just click to vote every 24 hours. 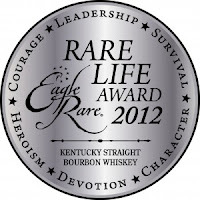 Contest #1: Eagle Rare Award. Rachel was a runner up for this award last year and CJSTUF received $2000 that we are using for the Lunch Bunch program. We could earn up to $30,000 for CJSTUF this year if we win the big prize! Rachel is currently in 5th place. Voting ends January 2013. Contest #2: Rachel was one of nine women selected from over 1000 entries for the fall round of voting in the Lady Godiva Program. If she wins this round, CJSTUF gets $1000 and a chance to earn up to $10K in the final round. Voting ends September 26. We know that we have a wonderful Network. That is how CJSTUF came to be in the first place. In the last three years, our network has continued to grow and we appreciate all of the support. Voting in these contests helps us achieve our mission and it only takes a few seconds of your time. If you can spare a few more seconds, please share this blog in an email or on social media with your friends. Every vote counts! “I don’t believe in coincidences.” Tom Checkosky will be the first person to tell you that he’s here (meaning Ashland) “by the grace of whatever it is you want to call God.” Checkosky used to be operational partner for 7 Domino’s Pizza restaurants in Western Pennsylvania. He started out as driver, became manager, worked his way up the ladder, and then left. Before the recession hit, he was a regional manager of Best Buy for three days until the economy made them cancel plans for 10 new stores. Then, after almost two years out of the food sector, he went into a local Pizza Pan restaurant to pick up an order and then proceeded to reconfigure the entire kitchen for the owners who seemed to be having “organizational issues.” This lit the fire within Tom to get back into the pizza business. After an exhaustive search, Tom stumbled onto a pizza place for sale in Ashland, Virginia. The landlord gave him a great deal on rent and even paid to move his store when Smokey Pig Catering left the space next to Ashland Ace Hardware. Other local residents wowed Tom with kindness, dinner, and good advice. "I'm from up north. I'm not used to people being nice to me without there being some kind of ulterior motive. I was sold." And so Pepicelli’s Pizza of Ashland was established. This was in 2007 and they are about to celebrate their 5th year in business. Tom brought down his wife, Lisa, and two kids, Jimmy and Ani and they've been here ever since (EVERYONE helps at the store when necessary). "Something always seems to happen every couple of years or so to make us move or whatever. We've been in Ashland five years and it hasn't happened yet. I'm convinced that we're supposed to be here." 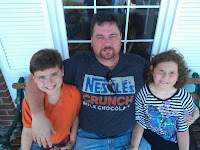 The Checkoskys (and Pepicelli's Pizza) are active throughout the Ashland community via MAP, the Ashland Street Parties, and several other activities. Through a strange series of “non-coincidences,” the Checkoskys became aware of CJ’sThumbs Up Foundation and were touched by the Reynolds’ story. Tom was so moved that he decided to do everything he could to help make CJSTUF successful and even quit smoking as a result of his involvement with the Foundation. Pepicelli’s Pizza donates meals to The Lunch Bunch (A joint effort between CJSTUF and Conner's Heroes Foundation to feed the families on the 7th floor of Children’s Hospital of Richmond) and was the Business Of The Month in May of 2011. 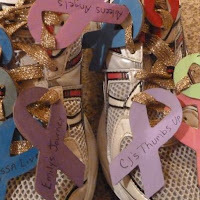 They will be the BOTM again in September, donating a portion of the month’s sales to CJSTUF. On Monday, September 24th, CJSTUF co-founder Roger Reynolds will be delivering pizzas to Pepicelli's customers who add a small donation to their order. 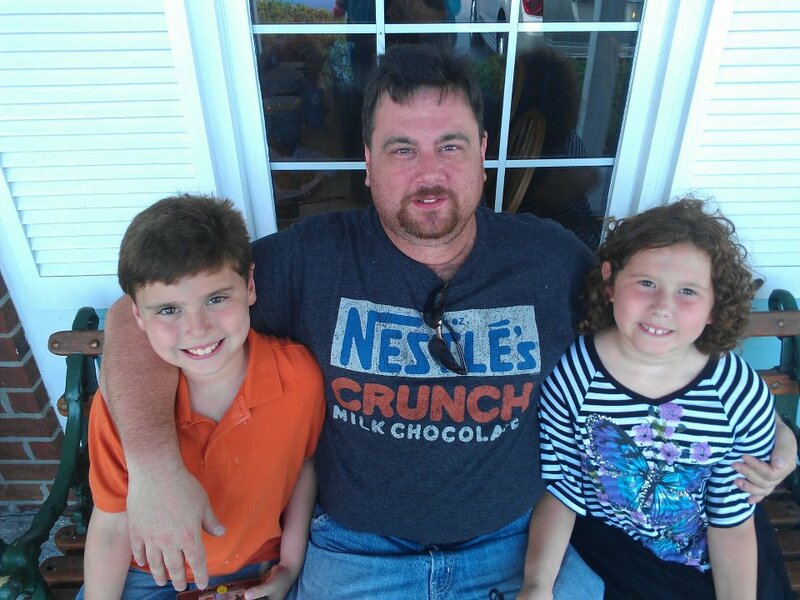 Tom has dived into his CJSTUF participation with both feet and has become one of our most enthusiastic supporters. 1) How often do you eat pizza made by another pizza place? Answer: “Only on vacation and only mom and pop places. Leonardo’s Pizza in the Outer Banks is a particular favorite as well as Causeway Pizza in Garden City Beach, NC. 3) How much taller than you is your wife, Lisa? 4) What animal, that you don't currently have, do you want most of all right now? Visit www.pepicellis.com for information about Pepicelli's Pizza of Asland. 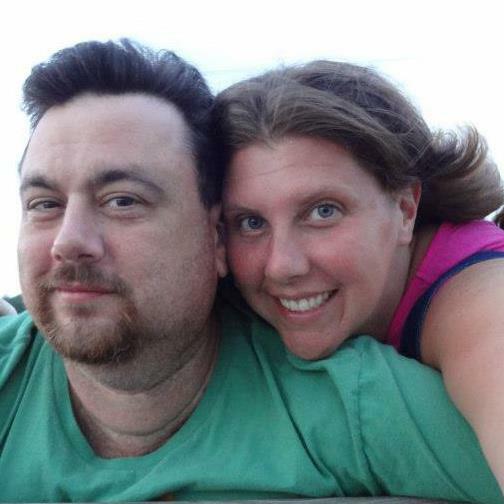 Melissa has been involved with CJSTUF since the very beginning. 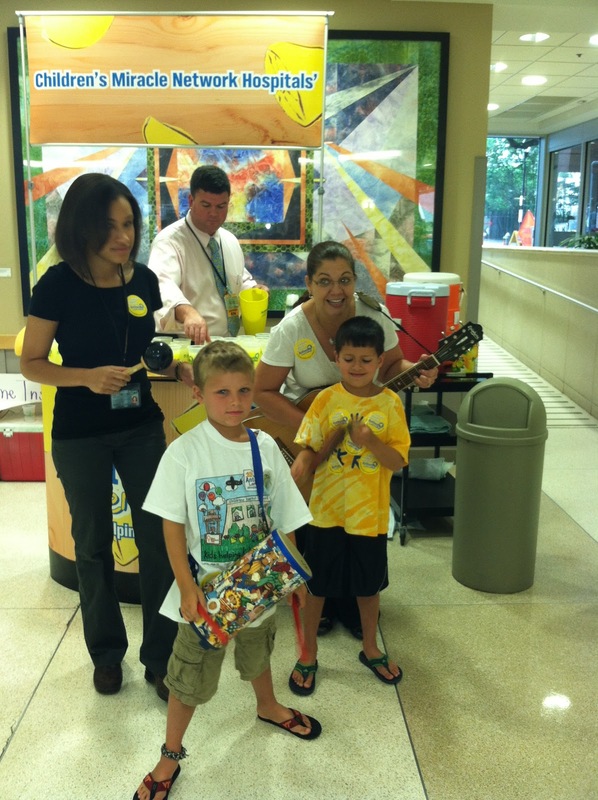 As a friend of the Reynolds’ and a Music Therapist at VCU Health System, she had the opportunity to visit Charlotte’s room often, bringing music, positive energy, and faithful minions, a.k.a. “interns,” to help make an unbearable situation a little more bearable. Melissa grew up with music all around her. With a mother who majored in music in college, the norm in her family was attending concerts and musicals, gathering around the piano at home, and singing “99 Bottles Of Beer On The Wall” 450,943 times on road trips (ok, that stat is made up). She began college life as a Communications Disorders major and switched to Music Therapy when she found that she could merge her two loves into one career. Melissa became the first official fundraiser to help with Charlotte’s care when she and one of her "faithful minions," Miriam Smith, designed and ordered the first pink “Prayers For Charlotte” bracelets. The bracelets were sold for $3 and the money was given to the Reynolds. When a group of CJSTUF Board members began to rotate off due to the end of their terms, Melissa was on the top of the prospectives list and it wasn’t necessary to ask her twice to join. She officially assumed her position in winter of 2011. What was the last earworm (song) to get stuck in your head? On a scale of 1-10, what is your level of expertise at reading upside down? 10! My secret skill is reading song lyrics upside down. Who is your inner superhero?? Well played Warrior Princess...Well played. As you know, we marked Charlotte's 7th birthday on Monday. The day included laughter, tears, hugs, an honorary mention on WCVE, dinner at Chick-Fil-A, a chocolate milk toast, and a showing of Finding Nemo. Roger and I were touched by the sweet messages we received as well as the generous donations made to the foundation in her honor that day. On Friday morning, I turned to Roger and said, "Wow! It sure has been a long week. Monday seems like a long time ago." He agreed. Between the emotional exhaustion at the beginning of the week, the Wine Down event on Wednesday in which we raised $1000 for CJSTUF (hurrah! ), and the normal business of our jobs, it had proven to be a very long week, indeed. Then came Friday. I ventured off to my job at the Dominion School and Roger had the opportunity to participate in the Moriah McNeil Celebrity Golf Classic to benefit ReeseStrong. One of the generous patrons of the organization had bought an extra foursome and donated it for use by dads of pediatric cancer patients. Roger joined Reese's dad and a few other guys for a beautiful day on the links. Moriah's dad, Emanuel McNeil, is a former NFL football player. He lost his daughter Moriah to cancer in 2004 and organizes this charity golf tournament every year in her honor. The proceeds benefit a different children's charity annually. With these connections, it made sense that quite a few NFL players would be hitting the links. It wasn't until Roger reached the tournament, however, that he realized some of these guys were the same football players who came and sang Frosty the Snowman to Charlotte on a hot summer day when we were holed up in the ASK clinic for a treatment in 2009. The visit had been a huge hit with Charlotte and had even been featured on the CBS news (briefly). As Roger talked about this with the football players, many of them mentioned remembering Charlotte. Then one guy pulled out his phone and showed us this video. He has had this video on his phone since 2009. Roger was floored! In the meantime, among my many meetings of the day, I was scheduled to interview a potential instructional assistant for the Dominion School. The young lady arrived at the scheduled time and we began to talk about her work history and why she was seeking employment with us. I asked her to say a little bit about why she liked her job and she told me this story. She works at Build-a-Bear. "I really love being able to see the happy faces on the children. A few years ago, I had the opportunity to work with a family that came into our store. The little girl was about 3 or 4 years old and she was sick. 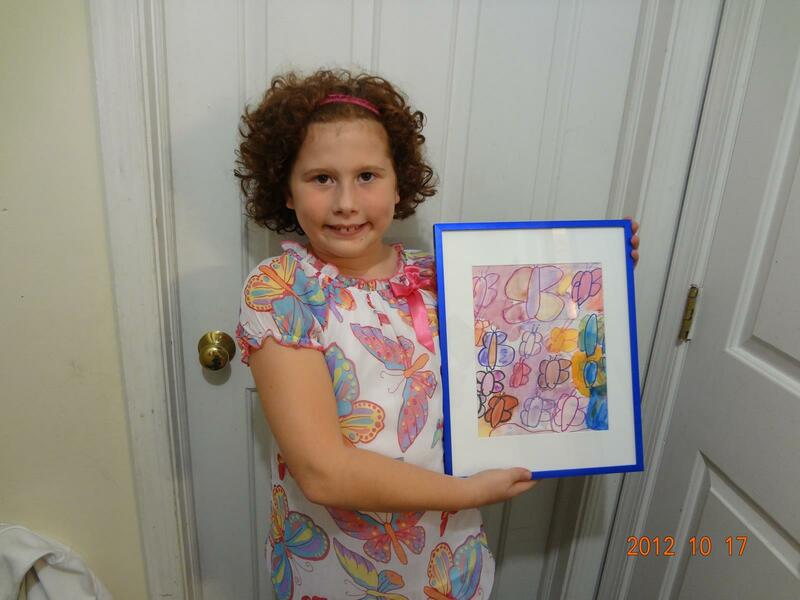 She came into the store after hours with her best friend and together they made creations for her, her parents, and her best friend. We were so touched by this little girl and found out a few weeks later that she had passed away. I still think about her a lot and how we were able to make her happy." As I sat there listening to her story, I realized where this was going. I was near tears as I listened to her accounting of our very own Build-a-Bear visit. I was thinking, "Should I say something? Is that appropriate?" Finally, I realized I needed to tell her. I said, "I hope this doesn't upset you, but I need to let you know, that's my daughter you're talking about." I pointed towards the picture of Charlotte on my desk and the girl's jaw dropped to the floor. She said, "Oh my goodness! That's her! We have her picture in our office at the store and I still think about her and talk about her all the time!" We both started crying. Eventually, we composed ourselves and carried on with the rest of the interview. On my way home from work, I got a message from Roger that he had something interesting to tell me. I told him that I had a great story for him as well. We met up and recounted these stories to each other in disbelief and amazement. I don't always believe in "signs" or messages, but perhaps these simple, touching stories delivered to both Roger and myself on the same day are a way of showing us that Charlotte continues to touch people's lives as much in death as she did in life. Of course, I think of our girl every single day. But it warms my heart in unimaginable ways to realize that she had such a profound impact on people who are virtual strangers. That, my friends, is the best birthday present anyone could ask for. Don't you agree?